Celebrate Valentine’s Day with Ennek and Miner! Comment here by midnight PST February 14. Two randomly selected commenters will receive the complete Praesidium trilogy (Stasis, Flux, and Equipoise) in your choice of Kindle or print format. Giveaway ends February 08, 2012. I am very pleased to announce that Equipoise is now available in print and Kindle formats! In this conclusion to the Praesidium trilogy, Ennek and Miner continue their journeys and confront problems old and new. 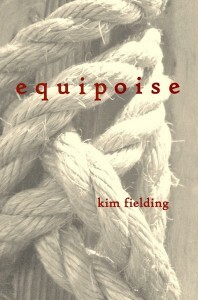 Equipoise will debut next week in print and Kindle formats! To celebrate, the second novel in the trilogy, Flux, will be available for *FREE* on Kindle for 5 days only–February 1 through 5. Ennek, the son of the Chief, and Miner, a former slave, have escaped the totalitarian city-state of Praesidium and remain fugitives. Having defeated two mighty wizards, they begin to realize that complete freedom can be as dangerous as absolute power. In this final book in the trilogy that began with Stasis and continued with Flux, Ennek and Miner face battles, corruption, and further journeys through lands both new and familiar. As they grow more secure in their relationship with one other, they’re also learning that the greatest challenges sometimes come from very close to the heart and that everything of value has a price. With the help of a few allies, they seek equipoise—a balance for themselves and for their world. I have what I hope are several exciting new announcements. First off, the sequel to Stasis and Flux should be available in Kindle and print formats within a few weeks. 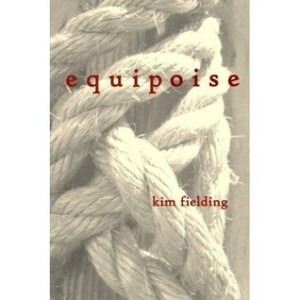 It’s called Equipoise and it brings the trilogy to its conclusion. I am feeling a little sad about it, because I’m going to miss Ennek and Miner, but I have other work to distract me now. Second, Amazon Prime members can now borrow Flux for free. 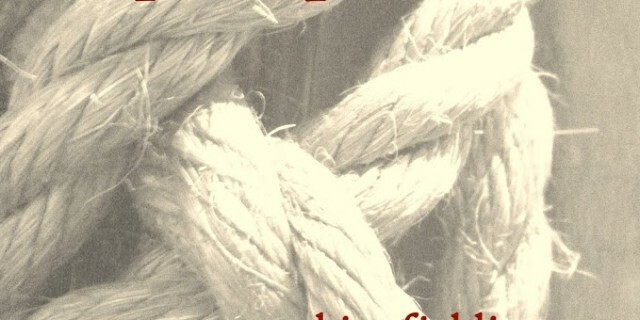 It’s part of Amazon’s new Kindle Lending Library. One of the nifty things about the program is I still get a small royalty for each person who borrows, which means more money for my continued donations to Doctors Without Borders. And it doesn’t cost the borrower a penny if he or she is already an Amazon Prime member. Third, I recently made a nice donation to Doctors Without Borders, all due to roylaties from the first two novels. Fourth, if you’re a Kindle reader in Europe you may be pleased to learn that both Stasis and Flux are available from Amazon’s European sites. And finally, I learned today that one of my short stories has been accepted for an anthology by Dreamspinner Press. The anthology has a superhero theme and is titled Men of Steel. It’s due out in ebook and print formats in April; I’ll post more details when I have them. I have several more projects currently in progress, including another novel and a novella. More information on those projects as they develop!